The Battlefield 1 beta is a smashing success, but will the game be a hit this year? The Battlefield 1 beta, which took place this September, has been one of the biggest to date, as more than 13 million players were able to test drive DICE’s upcoming game according to gaming website GameSpot. This will allow the Swedish developer to fine-tune the game (as well as squash as many annoying bugs as possible) and deliver a better gameplay experience to players when Battlefield 1 ships this October. Does this mean then, that Battlefield 1 will be a smash hit when it hits the shelves next October? Blizzard’s Overwatch game also had a very successful beta and ended up selling millions of copies, while Star Wars Battlefront has sold more than 14 million copies to date after having one of the most played public betas in a game to date. Will Battlefield 1 be one of the year’s top video game hits? Of course, the fact that over 13 million players played the Battlefield 1 beta does not automatically translate to millions of sales, and we also have to bear in mind that Star Wars Battlefront is based on one of the most popular franchises ever (namely Star Wars), unlike Battlefield which is a new instalment of a series that isn’t so well known. But Battlefield 1 does have one advantage over Star Wars Battlefront in the fact that it does have a single player campaign unlike DICE’s Star Wars game, and that could be a selling point for many. Also, unlike other military shooters like Call of Duty: Infinite Warfare, Battlefield 1 has an advantage in its setting. The game takes place during World War I, and preview videos of the game have shown that developer DICE has pulled all the stops to make sure the game feels as authentic as possible, as Battlefield 1 will feature accurately modelled weapons and also realistic weather effects amongst other features. Actually, it has been speculated that negative fan reaction to Call of Duty: Infinite Warfare reveal trailer was due to player’s dislike of Infinite Warfare’s sci-fi setting (together with spaceships and all). 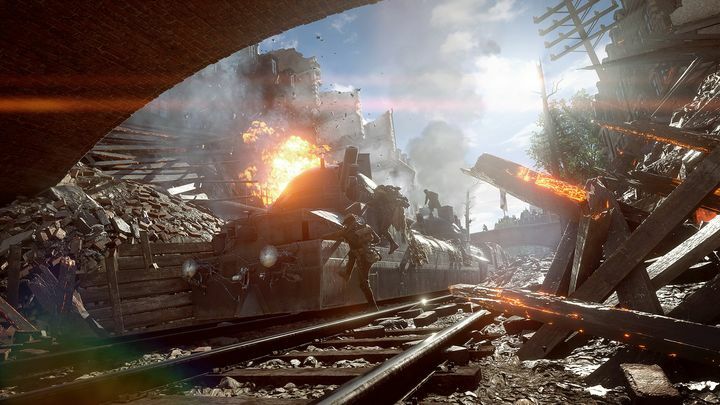 This means that many gamers are likely longing for a return to the World War settings of earlier Call of Duty games, meaning Battlefield 1 might even turn out be the top-selling military shooter of the year. Time will tell, though, whether DICE has another hit in its hands and if Battlefield 1 will be able to match the success of Star Wars Battlefront, but player interest in the game’s beta does suggest Battlefield 1 could end up being one of the year’s biggest games, no doubt.